By day, Tim is a Hilton Head Island firefighter, and Angela is a corporate paralegal. By night, and pretty much any other free moment they have, they are popping and serving up delicious kettle corn! 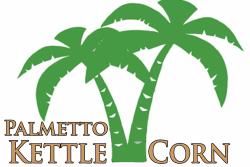 We are passionate about our Lowcountry community and the people in it. We LOVE getting to know every one of our customers and making new friendships along the way! If you see us out, be sure to say hello!